Property 20: Absolute COTTESLOE Beachfront - Ocean Views Vista! 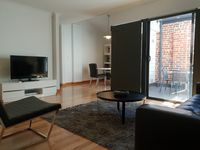 Property 28: SIMPLY THE BEST- STUDIO APARTMENT, SLEEPS 3, LOCATED IN THE CENTRE OF FREMANTLE. Property 30: Best Value with FREE WiFi. Walk to hospitals, shops and parks. Property 42: Bel Air -between river and sea. The apartment is spotless with everything you could possibly need. Great beds, full kitchen, outside sitting area, plus washer and dryer! The location is easy walking distance from all the major sites. Lots of great restaurants within blocks. Quiet neighborhood. A very wonderful stay.